Female fully winged. Body brown, tarsi and antennal segment III yellowish; fore wings light brown. Head longer than wide, projecting in front of eyes; only two pairs of ocellar setae present, pair III anterolateral to triangle, scarcely longer than distance between two ocelli. 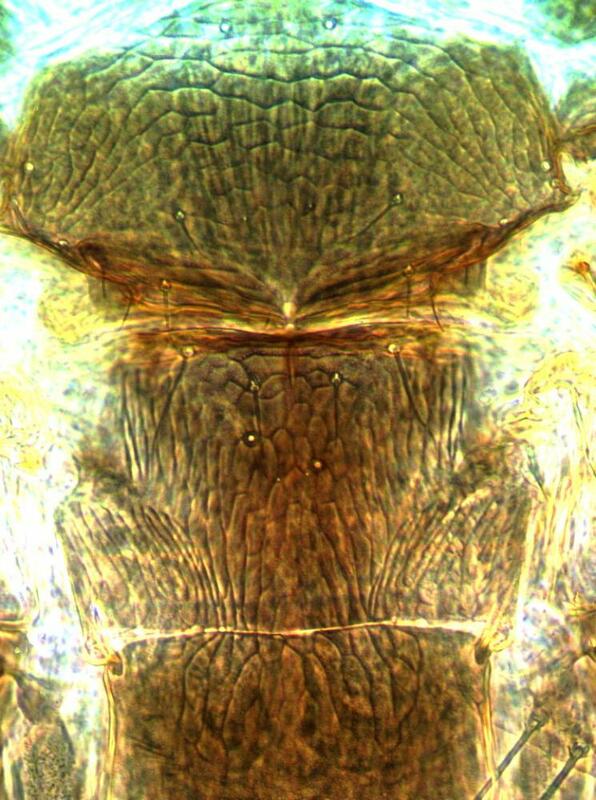 Antennae 8-segmented; segment II external margin prolonged apically into tooth; segments III–IV with forked sensorium. Pronotum with one pair of long posteroangular setae. Metanotum irregularly reticulate, campaniform sensilla present, median setae arise behind anterior margin. Fore wing first vein with 2 setae on distal half, second vein with about 9 setae. Abdominal tergites reticulate medially, with one pair of campaniform sensilla close to posterior margin; craspedum not developed; tergite X with one pair of stout thorn-like setae at posterior. Sternites II–VII with 12–16 discal setae, without craspeda. 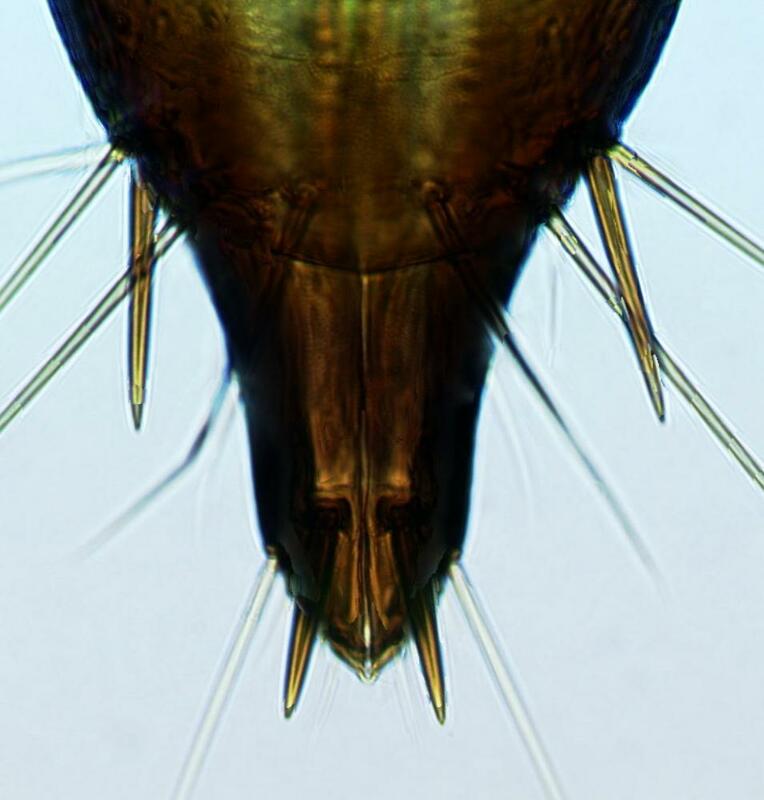 Male wingless, without ocelli on head; tergite IX medially with pair of stout thorn-like setae on tubercles, posterolateral pair of setae also short and stout; sternites III–VII with small sub-circular pore plate. 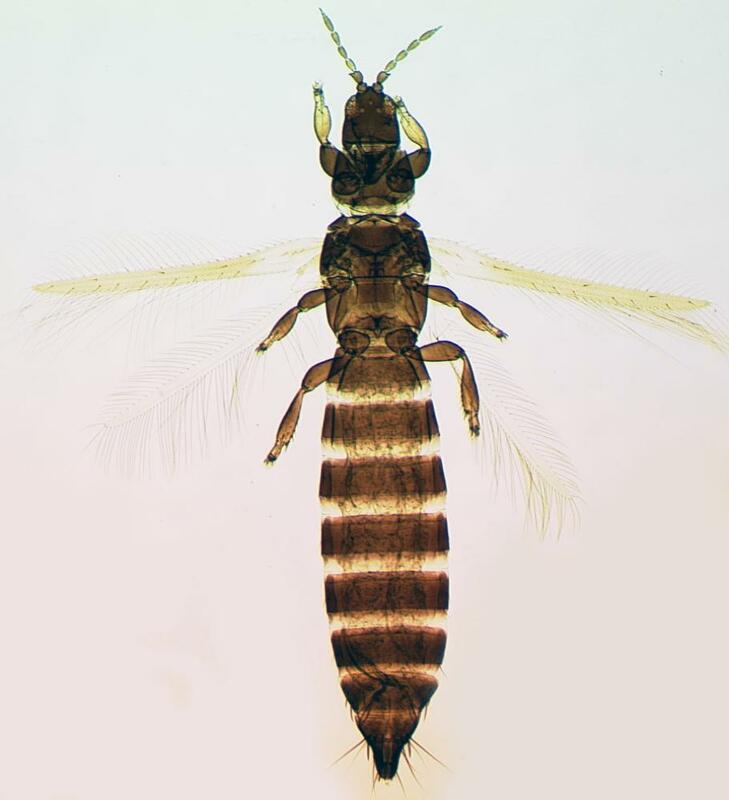 The genus Limothrips includes six species that are considered to be valid (zur Strassen, 2003). These all live on various grasses. Although they came originally from Europe, three species are now widespread around the world. Various Poaceae, including cereal crops. The warmer parts of western Europe, but introduced to various other parts of the world, including California, Chile, and southern Australia.